30% off on March 29th! 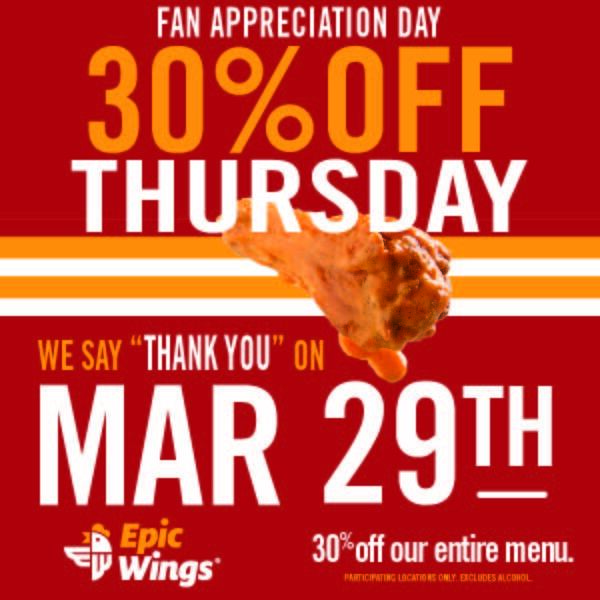 We thank our fans with a 30% Thursday on March 29th! Visit us for 30% off our entire menu, excluding alcohol.